But the thing is, none of these images is a bit like the one of her I have in my mind. I've been crazy for fossils for as long as I can remember, and I've had a soft spot for Mary Anning for about as long. 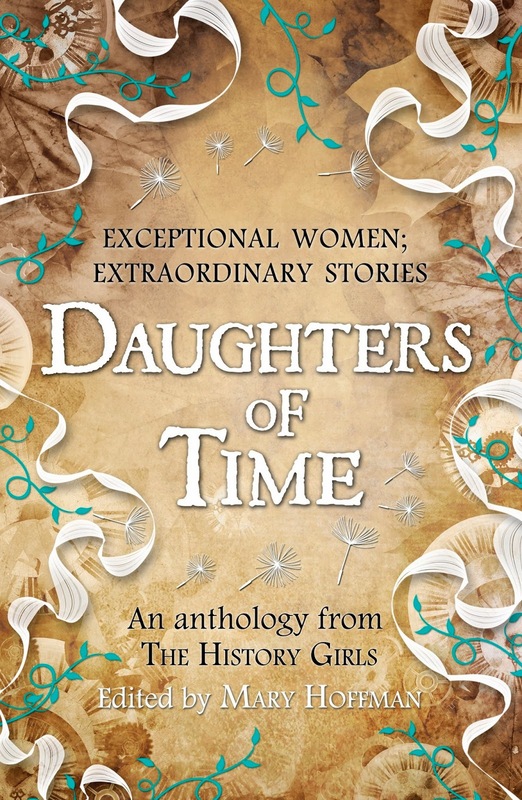 Which is why, when the chance to write a story about her in the History Girls' anthology Daughters of Time came along, I jumped at it. I did my research. I found out things I hadn't known before. I felt sorry for all her troubles and trials and frustrations. I was in awe of her (self)learning and meticulous skill in separating her fossils from the surrounding rock and her revolutionary understanding of their meanings. But still that was not what I saw in my mind. 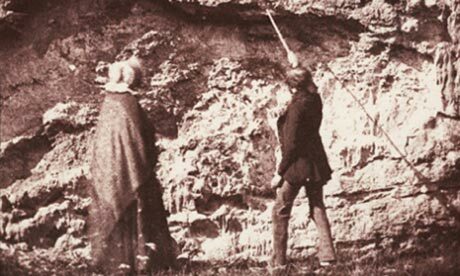 For me, Mary Anning will always be a figure running along a shingly beach, with a hammer in her hand and a dog at her side and the next amazing discovery waiting for her in the rocks just ahead. The girl who could see things that other folk couldn't - exciting things - wonderful things ... So that's how I wrote her. who aren't quite so famous! Is the book out yet? I'm loving these stories and want to read more. We have a Little Free Library in the neighborhood, so when I'm finished I'll put it there for the neighborhood girls. The sheer determination of women like her continues to amaze me - their thirst for knowledge against all odds is astounding. Mary Anning has always been something of a hero to me. I always loved her HUGE fossil at the Natural History Museum. She must have been an amazing woman. Hooray for Joan and Mary Anning! Mary Anning has always fascinated me,too: so much so, that she inspired my short story 'She Sells Sea Shells' which was long-listed - but not short-listed for an Asham Award and was never published. I had an idea to write a novel about Mary (did you know she didn't speak until she was struck by lightning when very young? )Then, Tracy Chevalier published 'Remarkable Creatures' which so bowled me over with its brilliance that I gave up my plan before a word had been written. I have my notes somewhere and My Mary Anning still awaits! I look forward to reading your Mary Anning story as well as the whole anthology. Thank you for your comments! Daughters of Time comes out this weekend.